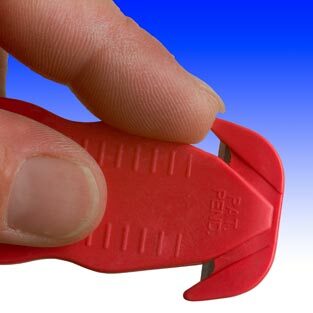 Specially designed safety cutter for the food service industry. 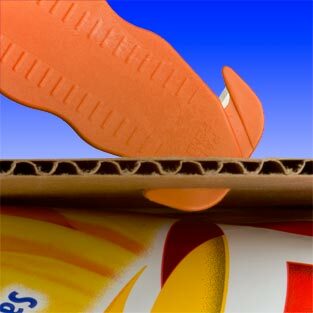 Amazingly versatile, cut boxes, tape, film and thousands more! The MS996 Metal Detectable Klever Kutter disposable safety cutter is a specially designed safety cutter for the food service industry. It features a tough, metal detectable plastic body with stainless steel blade. 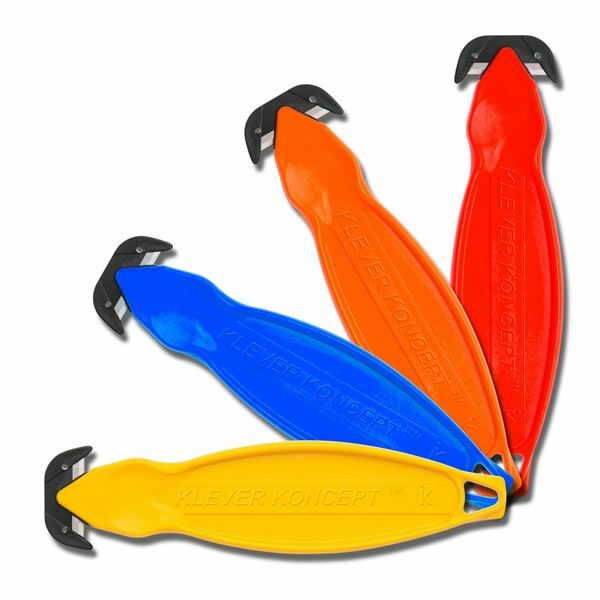 It’s tough construction of metal detectable plastic body with stainless steel blade gives the KCJ-1MD Klever Kutter metal detectable safety cutter a long and useful life. 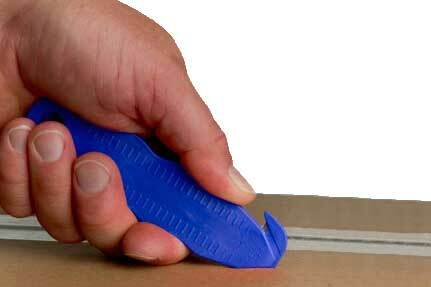 After the blade begins to dull, simple recycle the knife and grab a new one. No need to handle or replace used blades. 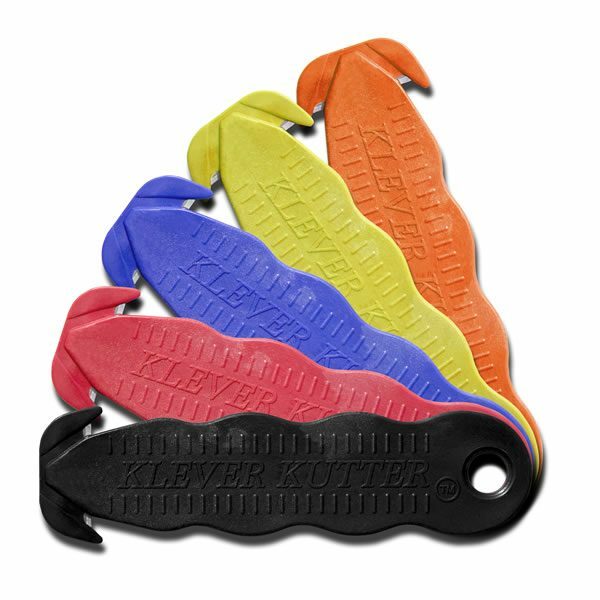 The Klever Kutter is not just a cutter for the workplace it is also a great tool for at home (safe for kids – with adult supervision). Try it on plastic clam shells, recycling cardboard, fertilizer & water softener salt bags, crafts, etc. Ideal for distribution centers! A safe alternative to fixed-blade cutters! Protects your employees and your products. 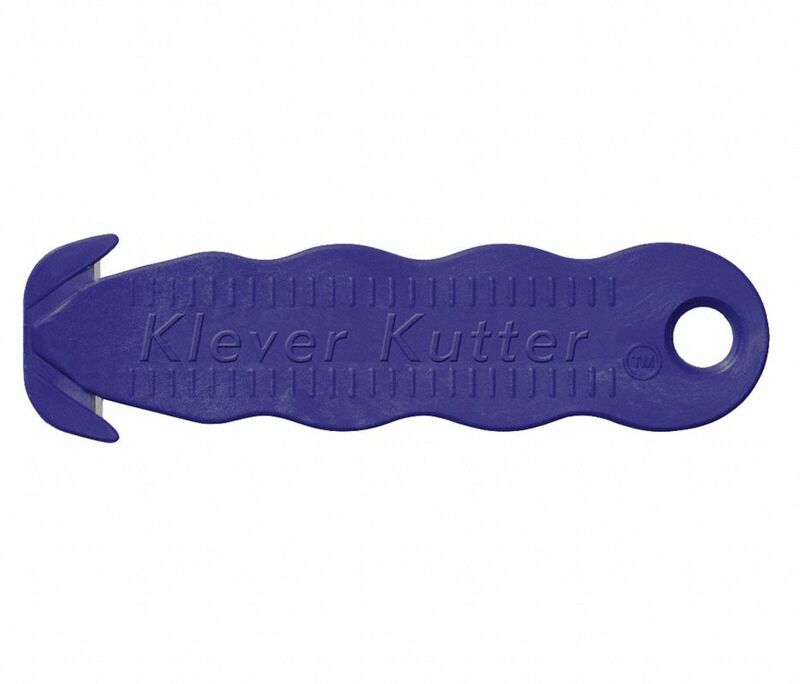 The Klever Kutter can be customized by placing a branding sticker on the back side. Please call for details!